Welcome to our gallery! 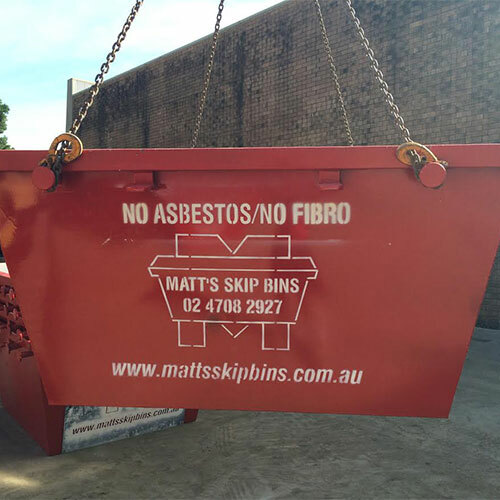 We show you Matt’s Skip Bins in action! 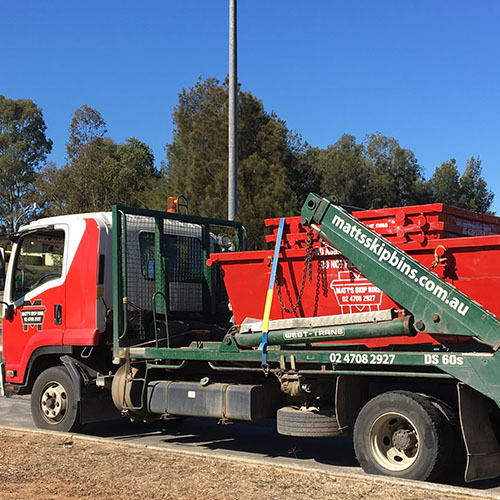 See the jobs we do throughout Western Sydney and get a glimpse of our wide range of bright red skip bins for hire in and around the Penrith area. 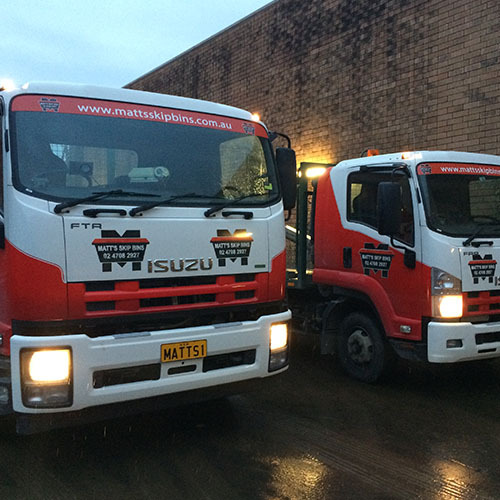 This is our day-to-day, delivering and collecting skip bins, mainly to and from building sites. You’ve probably seen our bus ads too. We have skips anywhere from 2 cubic metres up to 10 metres. 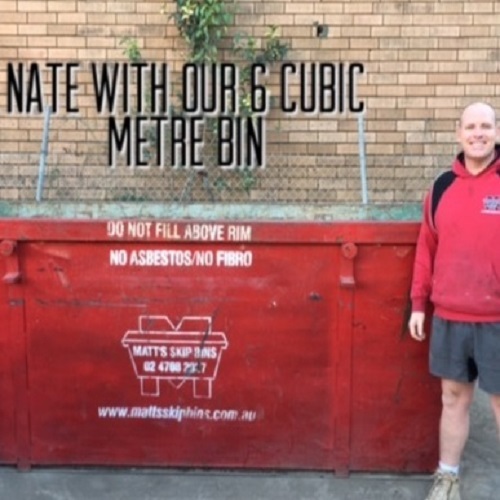 To see which size fits your needs, check out bin sizes or Book a Bin online. 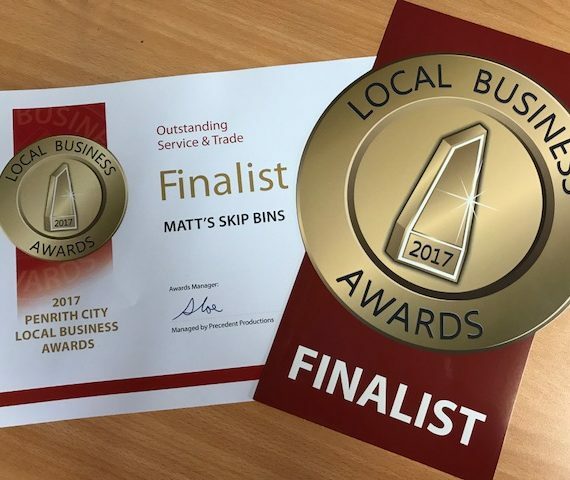 It’s easy to know which suburbs we cover when you book online, however, read all about us and see further on suburbs we deliver skip bins to. 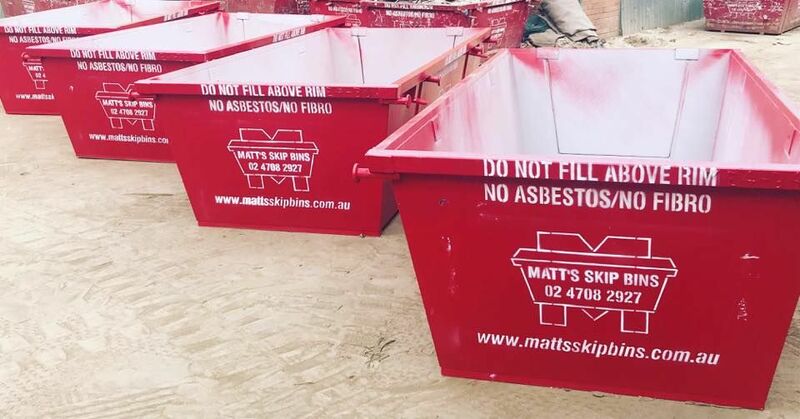 You could find out about skip bins do’s and don’ts, and how to save money by doing some smart skip bin hiring. More articles can be found in our blog section.